Coach… you need to know run fits. Do not be satisfied getting by on the talent, or ignorance, of others. For a long time, I did not teach run fits. I thought I did. But I wasn’t. Our 3-5-3 Defense really struggled in 2007 against good teams. We had talent. We did not have a knowledgeable defensive coordinator (me). That was my first year running a defense. I knew gaps. I did not know run fits. Think of gaps like a size 5XL t-shirt. I’m 5’9″, 195 pounds <ding>. I can put a 5XL shirt on. It does not fit me. Fits are different. Fits are me putting on a Large. Or a nice shmedium to display the pythons. You get the idea. Knowing that all the gaps are covered is a good start. Knowing how your team will fit on a run play is much better. What happened to that defense? We filled the gaps. Not the right way. There was a game that we simply refer to as “The Track Meet” around our office now. Our running back and theirs were neck and neck at the top of the Region Rushing Yards. On that night, my coaching cost our running back that title. Because we gave up a bunch of yards. I’m not sure how many, but it was north of 300 yards. I know our kid had over 200 and the score was like 54-46 at the end. Something ridiculous like that. What did they run? Power. Over and over. Why did it hurt us? Our Linebackers were attacking their gap. But they were attacking the outside. They were getting kicked out left and right. Defensive Linemen were not moving with their linemen. They were too wide or up the field. They got kicked out left and right. Getting kicked out against a well run Power is a disaster. We went through every page in the playbook. But when you don’t teach run fits correctly, you don’t stop a good team. Now, there were other issues. You don’t give up yards like that because of one problem. A key defender for us just lost his mind. All of our 2-way players were exhausted by the 4th quarter. Oh, and that running back they had was really, really good. You need to sit down and diagram your run fits. Draw up their best run plays. Choose the top 3-5 plays, no more. 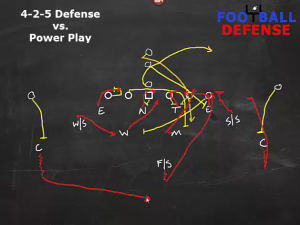 Then diagram your defense. How do they react to each key? Where do they go? Do not live in a fantasy world. Put your players going where they would go, based on how you have or will be coaching them. Don’t just draw them going where you’d want them to be. It’s best to do this with your staff. That way other coaches can interject their thoughts, or get a better understanding of your defense’s big picture. 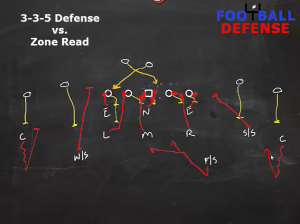 Run fit diagrams tell the story of your defense. It’s a story that you need to read. Tomorrow, Football-Defense.com Insiders are going to see HOW you read that story. 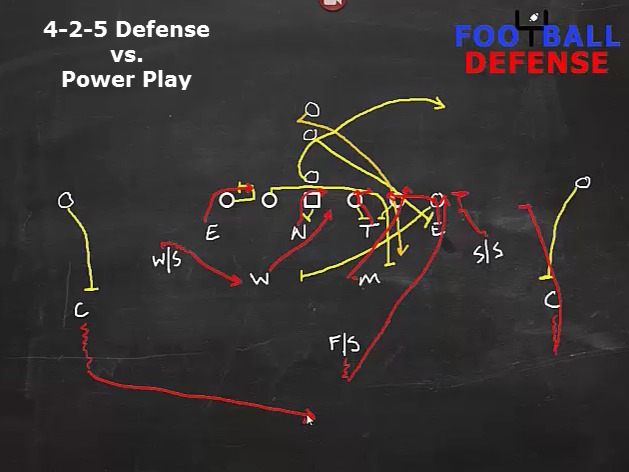 It’s a great process that will tell you exactly what you need to know about your defense. I will also include a video showing the exact process of diagramming those run fits.